The shelves are filled with books describingthe life of Jesus and his homeland, butrarely has Jesus life been placed within thelarger context of world history. 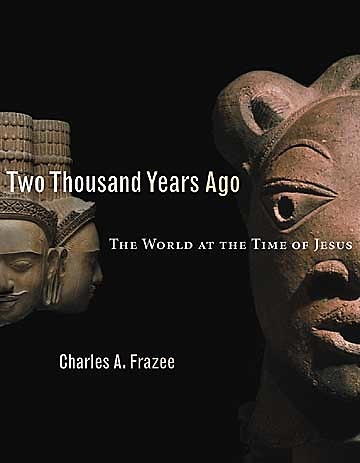 Two ThousandYears Ago is an absorbing work thatsurveys for the first time the people whowere alive and the historical events takingplace around the world at the time ofJesus.Drawing on historical records and thework of archaeologists and anthropologists, Charles Frazee explores the full sweep ofhuman society contemporary with Jesusown first-century Palestine. Each chapterlooks at one of the worlds major regions from the Arctic, the Pacific Islands, andthe Americas to Europe, Africa, and Asia and provides a short background ofits history and its status at the time Jesuswalked the earth.In providing a birds-eye view of theworld at this pivotal point in history, Frazeegives readers a new perspective on the lifeof Jesus in the Holy Land, allowing themto compare and contrast it with life takingplace elsewhere on the globe.Written with an inviting voice andenhanced with informative illustratationsand maps, Two Thousand Years Ago willbe enjoyed by anyone interested in worldhistory.